Do you produce more than three recycling containers' worth of materials per week? Just finish moving into a new house and have a mountain of corrugated cardboard to get rid of? Is it finally time to throw away all those old newspapers piled up next to the armchair? If so, we can help! For residents who need to dispose of large quantities of recyclable materials, the city recommends the use of one of our three recycling drop-off locations conveniently located in different sections of the city. While we are more than happy to take these materials in small portions through standard curbside pickup, these drop-off locations offer residents a much faster and more efficient way to get rid of large quantities of unwanted materials. Tires - OFF RIMS - Passenger car and light truck tires ONLY. Newspapers - Must be in paper bags or bound with string or rope. Magazines - Separate from newspaper. Office Paper - Shredded or loose leaf. Plastics - #1 and #2 plastic containers. Cans - Aluminum, steel and bi-metal cans. Glass - Clear, green and brown bottles or jars. 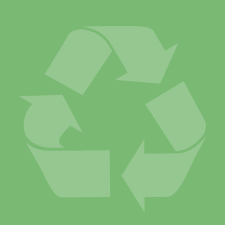 To view a full list of recycle dropoff locations in Stark County, click here.